The top of our list when travelling to India was to visit Punjab and witness the Golden Temple of Amritsar. Dave had only one place on his list of must photograph places in India, and the Golden Temple of Amritsar was the spot. The Golden Temple of Amritsar is Sikhism’s Holiest site and this temple welcomes everyone to enjoy its beauty and spirituality. It doesn't matter your race, faith or culture. Everyone is welcome. We woke early after arriving in Amritsar late at night on the sleeper train from Delhi. Amritsar is located in Punjab and is 460km from Delhi. 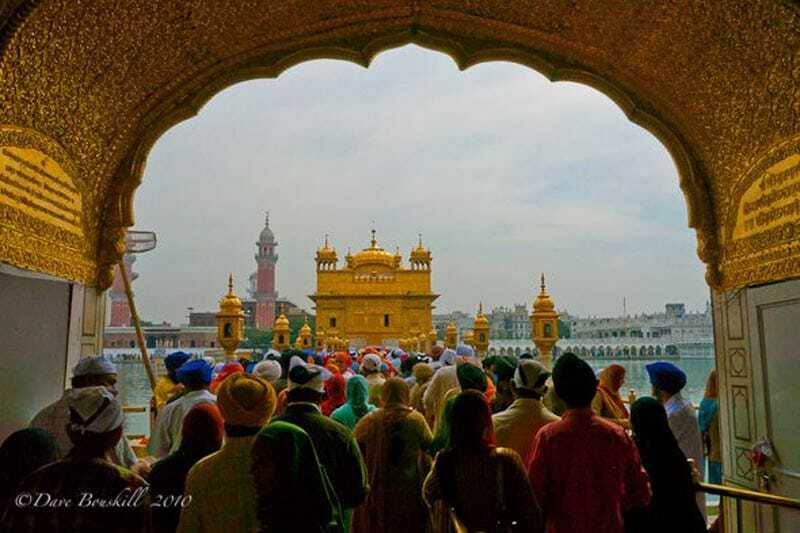 Men and Women must cover their heads out of respect before entering the Golden Temple. And like so many other Holy places shoes are not allowed. But this temple has a little twist to walking barefoot. Before entering you walk through a foot bath to ensure your feet are clean. Read 13 Essential Items for traveling India. Founded in the 15th century by Guru Nanak’s frustration with the caste system and rituals of other religions, Sikhism was formed to be all-inclusive. Much of the religion is based on science. As people explained Sikhism to us, we began to understand its meaning. Women have complete equality and can even be the head of the religion. Unlike the Pope of Catholicism or Dalai Lama of Buddhism, a woman can lead the Sikhs. That is if she is elected. The Sikh religion is a democracy and anyone can rule it. You don’t have to be born or ordained as the head of the religion, you are elected to a committee. If people are not happy with your work, you can be replaced in the next election. The Sikhs are all-inclusive and that is evident at The Golden Temple. The Baba Budha Ji laid the foundation of the Golden Temple after sleeping under a tree at its current site today. 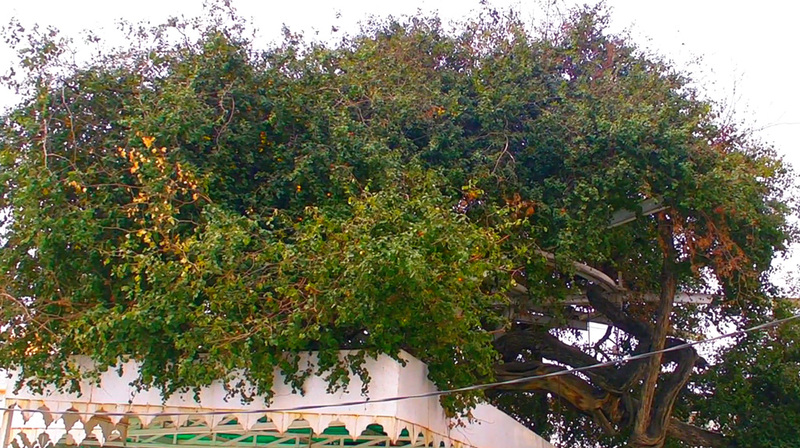 In 1506 he camped under this exact tree that is still standing today. He constructed the holy tank that surrounds the temple today. It is filled with Holy water and people bath in the temple to wash away sins and keep illness away. 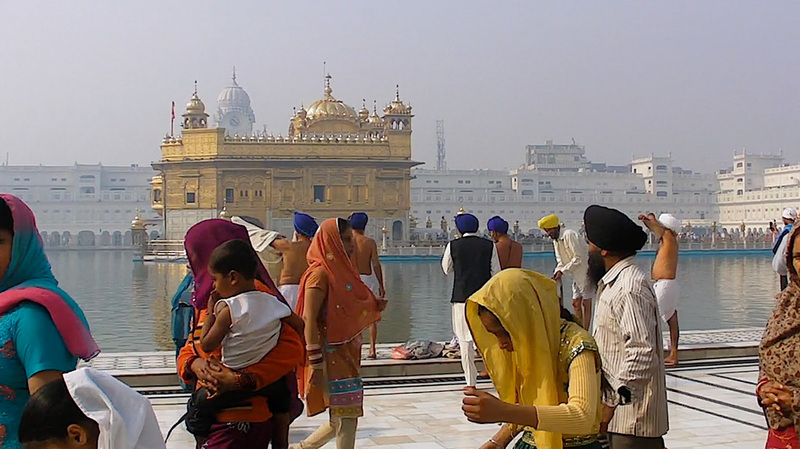 When entering the Golden Temple, people bath in the sacred moat known as The Holy Tank. Ment bath in the open, but women have a private area where they bathe. Sikhism is the only religion to promote complete equality in mend and women. Unlike the Pope in Catholicism or the Dalai Lama in Buddhism, a woman can lead in Sikhism if elected. There is no charge to enter the temple and they will even feed you for your efforts of coming to visit. The Golden Temple feeds up to 100,000 people a day from the free kitchen run by volunteers. It's an amazing feat in its own right, but what is even more amazing is that this has been going for 450 years without missing one single day. Up to 100k people per day have eaten here for the past 450 years. No matter what your position in life, everyone eats together on the floor. You may find yourself sitting beside a celebrity, royalty or the president. It doesn't matter who you are, you will all be treated exactly the same. 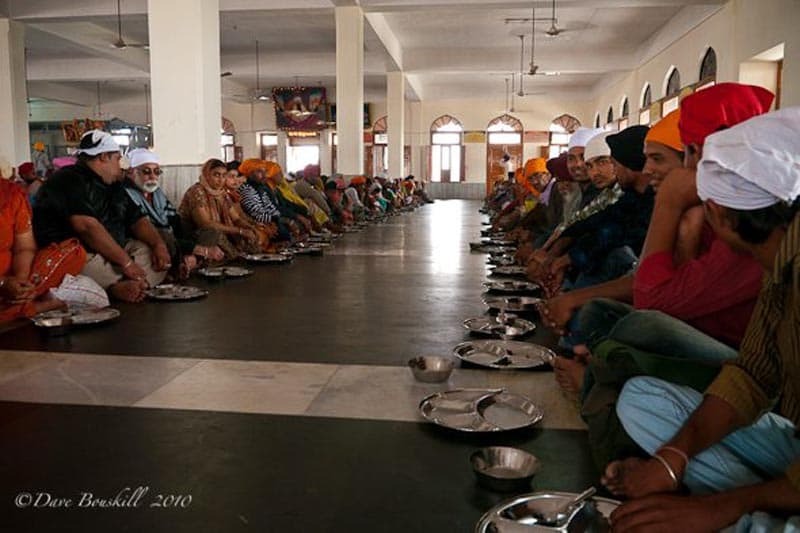 The food is clean and delicious and the 450 years of practice is evident as they feed thousands of people at once in a matter of 10 minutes. 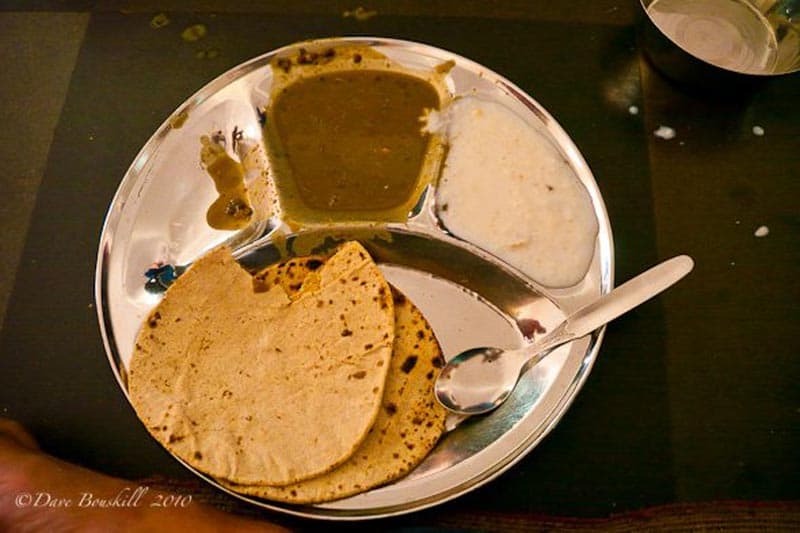 Dahl, chapati, ghee and aloo gobi are on the menu and cooked to perfection. Once you are finished, you scoop up your stainless steel tray and take it to the wash station as the next wave of pilgrims file in. It is a fascinating experience and one not to be missed. Our hotel was only a 5-minute walk from the temple. We donned our headscarves and checked our shoes we knew that we were about to enter something special. As we cross the foot bath, the shining temple appeared before us. Dave and I aren't normally excited over temples, but this one is incredibly impressive and beautiful. It is not a large temple, but it is stunning. Built in 1577, the temple's dome is gilded with 750 kg of pure gold. The complex surrounding the temple adds to its beauty. A marble walkway surrounds the temple with milky white buildings protecting it on all four sides. It is located in the centre of a moat, or the Holy Tank as it is known. Men and women bow in prayer towards its glory. We had never felt so welcomed anywhere. Many people were happy to have us visit their shrine and to experience their way of life. They stopped to take photos with us. They stopped to talk to us and to tell us the history of Sikhism. Punjab is filled with some of India’s wealthiest people and when they heard that we were from Canada they knew our country well. Many people we met actually lived in Canada and were back in India visiting relatives. Others told us how they told were going to Canada to study or how they have relatives in Canada and had been to visit. The conversations were not the usual “where are you from?” “what is your name?” exchanges we normally have in India. In Amritsar, we engaged in full discussions about Sikhism, India and Canada. In my humble opinion, I think the Sikh Religion is probably one of the least understood religions on the planet. But we learned quite a bit during our time at the Golden Temple. And we'd like to share what we learned about Sikhism there. It is easy to spend hours at the Golden Temple. Located in the centre of the city of Amritsar, the complex is large and can be seen from everywhere. As you walk around the marble walkway, the soothing song of the musicians and priests singing from the holy book play from the loudspeakers. Don’t worry, Sikhs don’t believe in noise pollution, so the speakers are set at a comfortable volume and they are respectful of not having the sound travel far from the complex walls. After a few hours, we finally made our way to the causeway that leads to the entrance of the Golden Temple. The crowd was thick, but orderly. That is until we finally made it to the entrance. It was pushing and shoving from everywhere to get inside. We couldn’t understand the hurry since you are allowed to spend as much time as you like. The main level has musicians with holy men sitting in the middle. They are in a constant state of playing and singing from sun up to sun down. They take turns reciting in two-hour intervals. The book is on display under a white cloth and people throw money into the centre as if their life depended on it. We walked up to the other two levels and spent time enjoying the view while others around us prayed and listened to the words. The Golden Temple of Amritsar is peaceful and beautiful. We made sure to revisit the temple at different times of the day to enjoy its beauty and different energies at different times of the day. Night time is not to be missed. The temple glistens under the lights and the mood is calm and quiet. It is a sanctuary in this hectic land known as India and certainly our favorite destination of the country so far. 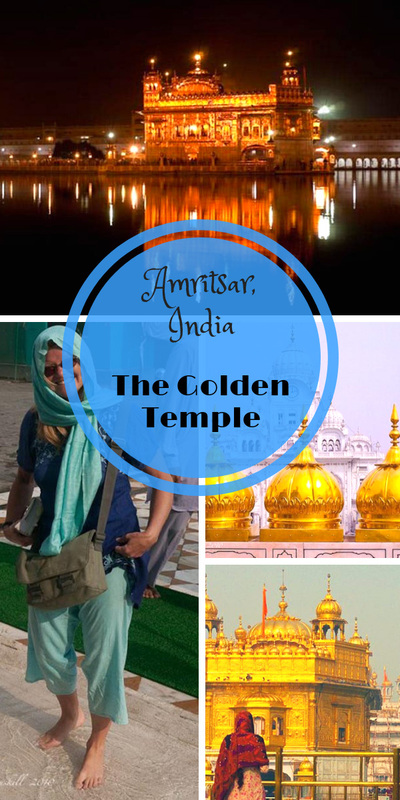 If you are going to make the long trip to India, make sure to add The Golden Temple of Amritsar to your itinerary. We loved it more than the Taj Mahal. It was a more genuine experience, more of a pilgrimage site than a tourist destination. 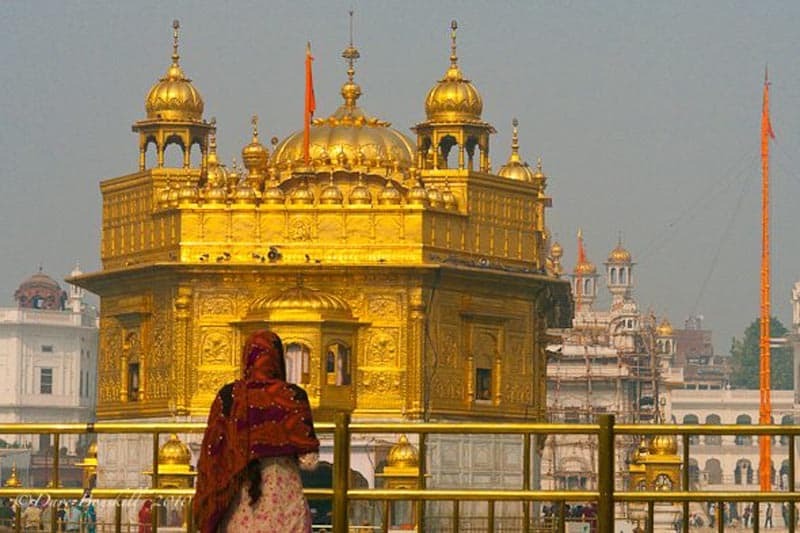 If you enjoyed this information on India's Golden Temple, why not save it to Pinterest? In our opinion, it is the number one must see temple in India. 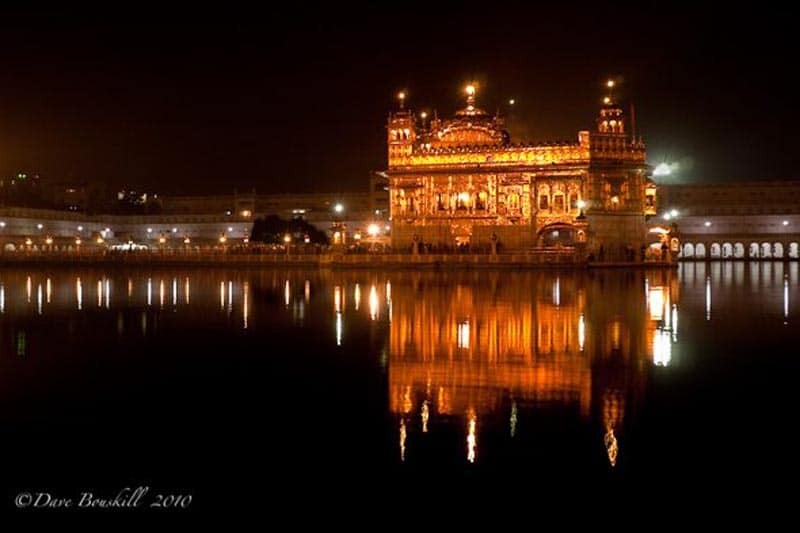 61 Responses to "Golden Temple of Amritsar, India’s Shining Star"
Golden Temple is one peaceful place for sure. Thanks for the great article. I just love religious places and Golden Temple is one of them. I just love your article because it provided all the important information about Golden Temple. I hope you had a wonderful expericence in Amritsar. Well planed trip and nice photos by you people! That is really great to listen about Darbar Sahab. Thank you for such content. one of the most famous and historical temple of india… must visit one time at this temple… Nice share Team ThePlanetd. There are no words to describe how beautiful the Golden Temple.Welldone guys, as always you capture it perfectly. Happy you enjoyed your trip. Just so you know the book you were talking about , was Sri Guru Granth Sahib Ji, which is our present Guru , and contains the writings of our ten Gurus , and other famous Saints. We bow out of respect for the wisdom , and spiritual guidance given. We donate money as one of our basic concepts that we should give back. Unfortunately Amritsar is growing to be one of the dirtiest, polluted and uncivilized cities in India. It is a shame considering it is where the Beautiful Golden Temple is. I wonder why the citizens of Amritsar don’t do anything about the deteriorating situation there. 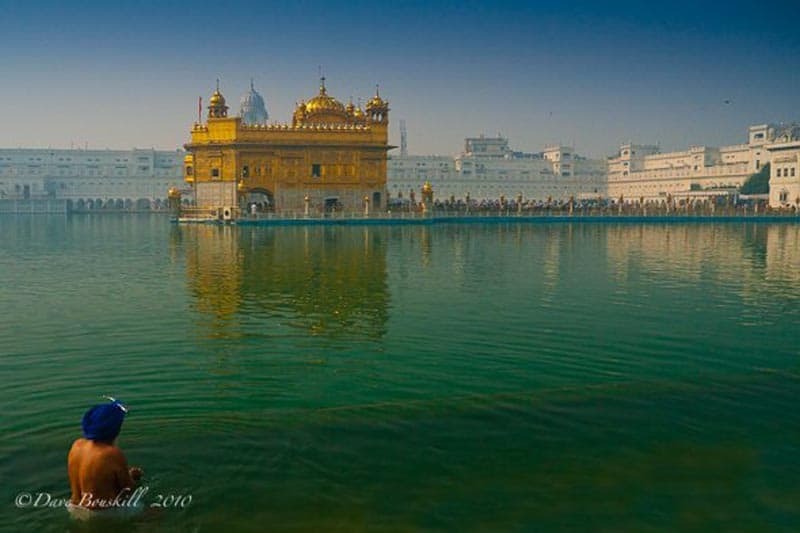 Thanks very much Debndave,for uploading pictures of golden temple very beautiful. Within a short period of time, Amritsar will welcome the President of the United States of America as he will visit The Golden Temple during his trip to India. I am sending a “wake up” message to the P.M. Mr. Singh to attempt to jolt him into civic pride. I just read the post: https://theplanetd.com/india-is-filthy and distributed it to my friends too. It looks like your other posts are worth a read also. So I’ll have to bookmark your website and get to it at whenever I need some entertainment. Being in India, I always try to stay away from dirty places although I don’t travel much. Fortunately, I drive and only walk in parks or clean streets. If you haven’t been to Chandigarh, you may find it one of the cleanest cities of India, although comparing it to the Canadian standards, it would still be worse than your ghettos. But I’m sure you’ll enjoy being there. Hi Atul, I want to make sure that you know that we enjoyed our time in India and made wonderful friends too. Make sure to read our other posts too. We raved about many places that we went to, including the Golden Temple, but we also like to tell people both sides of the story. Many destinations have another side to paradise and we feel that people should know about them too. Thank you for your comments, they were very insightful. It is true, as a tourist, we can’t do much about policy change. The people of India need to take the initiative, just like when we need change in Canada, we need to come together as a nation. With people like you as an example of the future, I think things are looking good for the world’s rapidly developing nation. That is awesome that President Obama is going to the Golden Temple. I look forward to seeing the coverage. G Singh, I live in Punjab and there is absolutely no problem between Hindus and Sikhs. The problems exist only on the political level. 1984 was also a political game. Hindus and Sikhs have always lived together peacefully and they still do. I felt really embarrassed when I saw foreigners in Amritsar walking through the garbage on the roads towards Golden Temple. I was thinking: what must be they thinking about? I think Marylouise and Davendeb clearly mentioned that. Thanks for your supporting comments. Welcome back to India in 2011! Wow, that is an amazing article. Respecting ones own land is the key. Relax Atul, I could sense uneasiness in you about some comments I made. Nowhere did I say that everything is perfect or there is no filth, lack of civil sense or amenities etc in a place like India including Amritsar city. I made my points as you original comment was biased towards more negatives. The blogger has made some strong points about the dirt,filth, crowds, lack of infrastructure etc in other articles and anyone who has been to India knows this is a fact. However there are lot of sikhs who have not forgotton 1984 ans the role played by the majority community during that phase,. Hence when anyone with sirname like yours talk about sikh places or sikhism, its hard to digest. And no, we still remember 1984 when a hindu Prime Minister instigated crowds by saying ” When a big tree falls, earth trembles” to justify anti sikh genocide where little children and adult sikhs were burnt alive in presence of police and Congress supporters, where young girls and women were gang raped just cos they were sikhs. 26 years on and still no punishment to the perpetrators etc. Anyway I dont want to divert the topic. But WE HAVE NOT FORGOTTEN 1984. This is nothing against you personally but many people from the majority community still support those brutal actions. Op Bluestar is another thing which I wont go into now. Atul, as for your comment that how do I know you are a hindu?.. Just like you assumed that Singh may always means a turbaned sikh. Deb, my point in my original post was not to cover or deny the lack of civil mannerism in India incl Amritsar but more about the political and social unrest between various communities in India. I know I should not have made those points here but just want to highlight that India may be a rising economic power in the western media but there are still lot of dark negative facts which reflect the essence of deep divide in indian society and from which it may never recover to truly lead a new world. 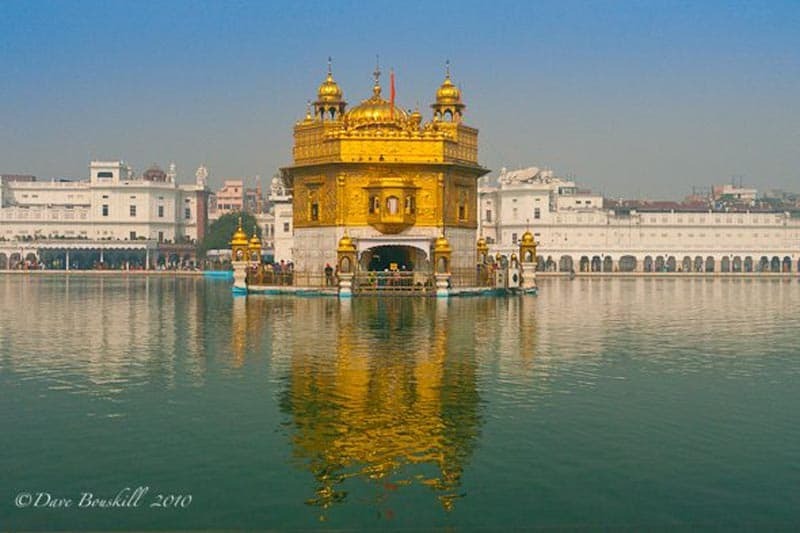 I have been to The Golden Temple twice and will go again in 2011 as the beauty and tranquilty there is a respite from other diametrically opposite Indian “must see” places. HOWEVER! I was horrified by the conditions outside the compound and everywhere in Amristar. Its beyond my imagination to understand why the town officals do not present their city as a compliment to the Golden Temple instead as how dreadful it is everywhere in Amristar. I have been to The Taj 5 times..Agra has the very same situation outside of The Taj gates. Behind The Taj, flows the Yamuna River, complete with every piece of trash available to throw into the water. The Yamuna River flows along Delhi with more of the same trash. This is where, this past month, the Dengue epidemic began, with mosquitoes breeding in water filled trash articles. Thousands were reported dead with many deaths unrecorded. Does not the WHO have an interest in such matters? I don’t believe that anyone in the Indian govt is reading about the filth of India in blogs.It is a way of venting emotions but has little effect on officials who possibly have the authority to change a few of the local health situations. The Games enabled the world to comment on the situation,but not much was done about the problem found in Delhi. Those who truly love India and all of its people are sadden by the total lack of concern of the elected officials for the people who vote them into office. If everyone who travels to India would take time to send emails or letters of concern to the editors of the many publication in India now that the deplorable sanity conditions have been exposed to the world, there is hope that there will be efforts within India to “clean up their act.” There are many customs within India that would be difficult to change. Cows are sacred in India and are allowed to roam freely on the streets, adding their waste to the public road. Monkeys add to the filth, eating fresh fruit and throwing the pits and seeds onto the ground,in the cities. Richard Gear had a public free toliet built in the center of McLeod Ganj, (home of the Dalai Lama) for the village people. The streets are clean. Indians like Mr.TATA could be contacted to contribute the same to many villages of India. Letters sent to The Taj Hotel in Mumbai will be given to him. Thanks for your response MaryLouise. You are right, I don’t think officials are reading this blog at all and that they are the only people that have the power to make a real change. But I don’t think that they really care for the most part or they would have done something about it. Especially after the games. But when more people start talking about it, maybe some change will eventually happen. People seem afraid to talk about the problem for fear of offending, when the truth is India is dirty and Amritsar was no exception. It is better than Delhi, but it is still very dirty as mentioned in the comments. We have been to many poorer nations that don’t have the blatant disregard for cleanliness that India’s officials seem to have. People blame the population, but per capita, India is only rated as number 19 in population density. Other countries have managed to keep their lands much cleaner in a much tinier space. So that is why we welcomed Atul’s comments about his experience at Amritsar. 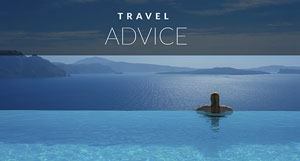 We aim to tell all sides of the story about the destinations that we visit. Extraordinary places can still have their problems. We are still going back in 2011 as well. People like Atul Kumar represents a core group of hindus who will alway try to belittle sikhism through blatant lies. Here Atul made a point to project that people get pushed etc inside a temple and sort of highlight some negative lies. Anyway people like Atul will always be there but I am thankful to Deb and her partner who brought out spirirtual beauty of the place and also highlighed essence of sikhism in a short, succint way. Thankyou. I strongly believe that people of other cultures esp in the western world follows basic principal of sikhism more than most sikhs who are busy chasing material goals and going towards casteism under the influence of wider hindu community who controls media and propogates their beleive system on the minorties in India. G Singh totally refuses to take the responsibility of cleaning the holiest city of India and is trying to turn it into a Hindu-Sikh issue. He also seems to be totally ignorant about the rowdiness of Indian people (Sikh or Hindus)whether they are inside a Gurdwara or lining up to buy a railway ticket. Just having a turban on your head doesn’t make someone a Sikh. My post is only condemning the LAZY and DIRTY and ROWDY Indians. If you are taking it as an offense,then maybe you belong to one of those categories. That said, my post is not propagating any hatred, but you seem to have resistance for Hindus. I don’t think that Sikhism teaches anything like that. People like you are not tolerated anywhere. It is people like you who are unable to take any criticism and responsibility and instead try to turn it into an attack on Sikhism. Once again, I am criticizing LAZY, DIRTY and FANATIC Indians. And people like G Singh only want to hear praises, but when it comes to taking criticism, they will go the extent of being violent – verbally or physically. This is not what Sikhism teaches. Is it a lie that the city of Amritsar is dirty? When did you go there last time? Did it look like Paris to you? And how do you know that the other incidents that I personally experienced were lies? Do you have any special psychic powers? And how do you know that I am a Hindu? It is an unintelligent assumption, just like your other assumptions that I lied. I probably know more about Sikhism than you. And BTW, I don’t always use my real name on blog posts, but even if I did, can a Hindu not get converted to Sikhism and keep using his real name. Just having “Singh” beside your first name doesn’t make you a Sikh. Sikhism is a lifestyle, not an attire or a name. It is time for Sikhs to wake up and stop seeing them as minorities or victims of Hinduism. India has moved forward since 1984. And one final thing. I stated the facts only. Nowhere in my original post I condemned Sikhism or Sikhs or talked about hating anyone. If you want to embrace corruption or laziness, then go ahead. I won’t and I’ll keep speaking about them. So Thana, stop making assumptions. We loved our time in India and at the Golden Temple, but the filth is overwhelming in many parts of the country. There is nothing wrong with stating facts about cleanliness. 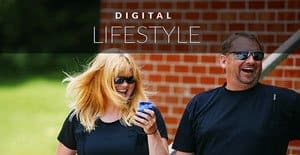 We encourage conversation on this blog and that is why we have let the comments pass through, but the minute things start to become anti this or anti that we will delete your comments. We believe in equality for all. No religion, race or caste is better than another. everybody does but not to love garbage … you shouldnt hate your people … do sumthing so they don’t luv garbage more than the beauty! Golden Temple is indeed beautiful. I visited there about a year ago. I was shocked at how dirty the city of Amritsar was. Piles of garbage lying all around, even near the temple. The temple is maintained quite properly, however the city and the surroundings are not clean. It is a shame that the residents of Amritsar can’t even keep such a city clean. While inside the premises, I lined up to go into the Golden Temple. There were two white ladies who were trying to enter inside but throngs of people kept pushing and they couldn’t get in and were pushed aside. Finally I got hold of a man next to me and asked him to let the ladies in first. After I got it, people kept pushing from behind and I looked for the exit door and walked out immediately. My experience at the Amritsar airport was the worst. Mosquitoes kept biting in the waiting area, the washrooms were very dirty and I even saw a dog running around inside the airport. The security guards near the entrance were drinking alcohol (one of them a sikh)and I had to pay bribe to a policeman who stopped my car at about 4 a.m. for a violation on a road where there was no traffic at all. I bet you come from some place in Asia, who is jealous how these white admire the amazing place of India’s Treasure, without seeing the horrible surround!!! You comment does not make any sense at all. Just read it back to yourself. 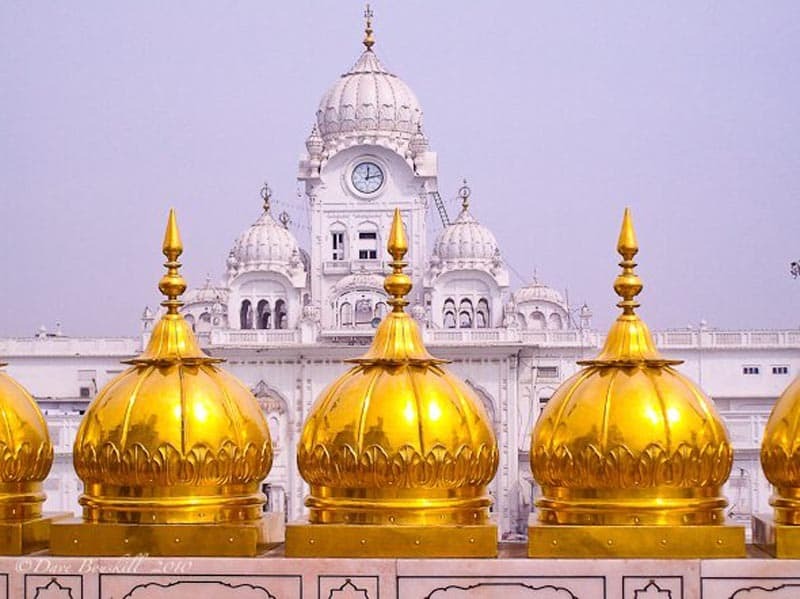 Why would I be “jealous” of anyone who admires the Golden Temple? I don’t come from “some” place in Asia. I live in Punjab and India is my motherland. I admire beautiful places too, but not Garbage and not Indians who can’t keep their holiest land clean, who are corrupt and lazy. Thana, if you have ever been to Amritsar, you will know what kind of dirt Atul is talking about. If still you find the city ‘clean’, you really must be one among those who pollute the city. Nice pictures!! Great to hear of your travels to Sri Harmandir Sahib Ji (Golden Temple). Thanks for the insight. What an incredibly beautiful place! Fabulous photographs! .-= Alison´s last blog ..Belgian Chocolate Shops in Brussels, Grand Sablon =-. Thank you Marylouise. You were right, the Golden Temple was the highlight of our time in India. The serenity, the friendliness of the people, the overall sense of calm…it was an incredible experience. As always, great job on the amazing photographs. Simply stunning! .-= Bryan @ Tourfolio.com´s last blog ..Bras, Skiing and Beer: The Rise of the American Bra Tree =-. Gorgeous. We can’t wait to go there! .-= Akila´s last blog ..just another city: bangkok =-. Wow, it looks like you had an amazing experience! 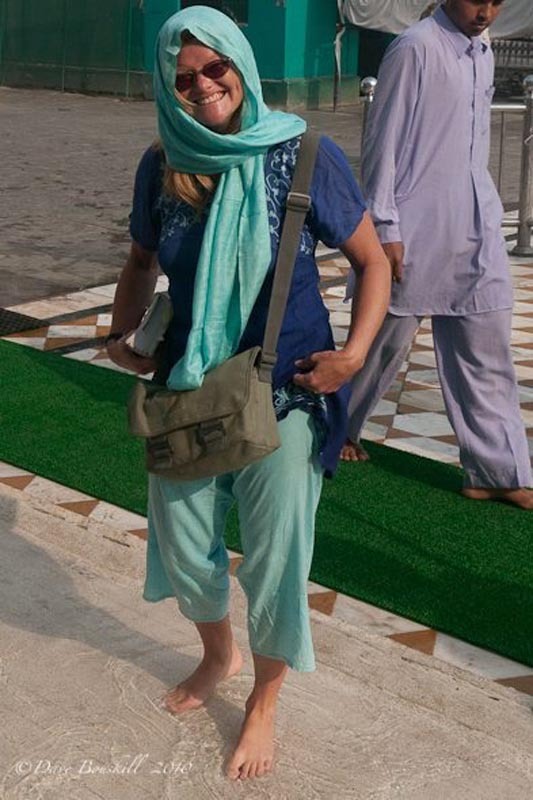 There are a lot of good insights about your experience at the temple overall, but do you (Deb) have any tips for women specifically who might be traveling to India? 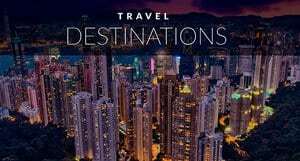 I’d love it if you would write a guest post on my blog, http://www.pinkpangea.com, which is specifically for women travelers. It would be great if you could send a photo of yourself (the “Deb Poses for some Photo’s” is great! 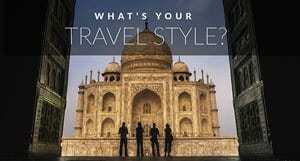 ), and write about your experience along with helpful information for other women who want to travel there. Thanks Miranda, Thanks for the invite for the guest post. We are taking off to Nepal in a few days on some treks so I won’t have time to write the post right away, but I will get one together for you in once we are finished. I will definitely send a photo too! .-= Melvin´s last blog ..Komodo Island : The lost dragon world =-. it was dave who took them. Fantastically beautiful picture. That may be your best yet (the first one up top). .-= Trisha Miller´s last blog ..Automate Your Twitter Tasks with Tweet Adder =-. It is true. India hasn’t been our favorite place in the world, but there have been some special moments. Amritsar was definitely one of them. Great photos Dave! Impressing me yet again. Also loved the paint party that you recently posted. Ahhh paint parties… nothing quite captures that youthful abandon like getting covered in paint! Jealous. You guys look great! I’m also jealous of Julian: He gets to hang out with you guys. Miss you at work Deb! I’m guessing you’re not missing work though…looks like you’ve got a new career now. Love you two! There are know words to describe how beautiful the Golden Temple is looking from the outside in. Welldone guys, as always you capture it perfectly. wow im going to use those pictures for my homework.